To me És is synonymous with real skateboarding. 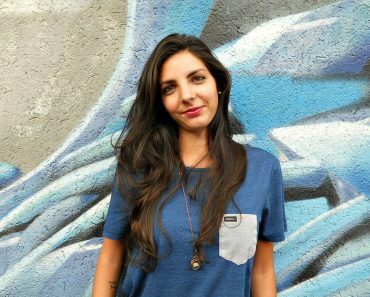 Not only its roots are more than legit, with a curriculum that includes a video by the likes of Menikmati, but the way it resurfaced after a minute of tough times made me welcome it open arms. 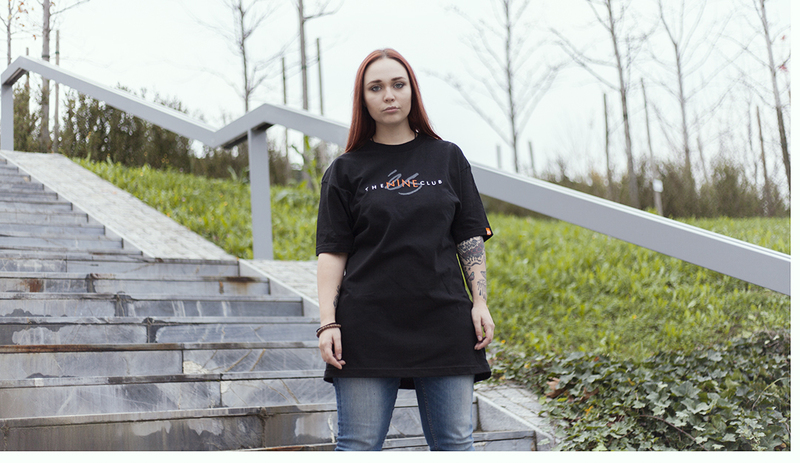 The brand under the guidance of OG freestyler pros Pierre Andre Senizergues and Don Brown thought that to create a capsule collaborating with a skateboard media would have been a power move and I totally agree. The choice ended up on the video magazine where team rider Kelly Hart works when he’s off the board: The Nine Club. Every video interview represents a way to give detailed insights on the career of charismatic pro skaters or personalities of the skate world. When a new episode is online all you have to do is sit back and relax and you will end up in the fabulous world of a pro like you skate with him on any given day. Kelly knows and he has a genuine curiosity, just like his pals Roger Bagley and the host Chris Roberts. Being a skate nerd may be fun and the show confirms this as the above mentioned trio is genuinely laughing often during these interviews. 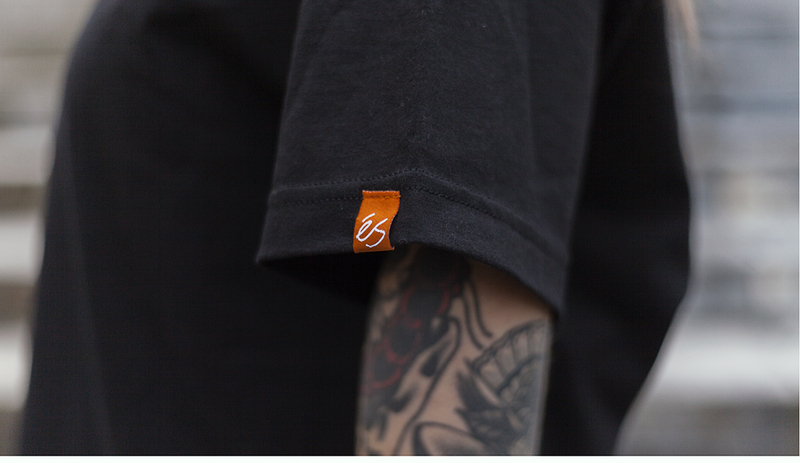 The skate footwear brand under the Sole Technology umbrella already sent in a pair of Accel Slim that belong to The Nine Club capsule and today we are dealing with the t-shirt of the same capsule. 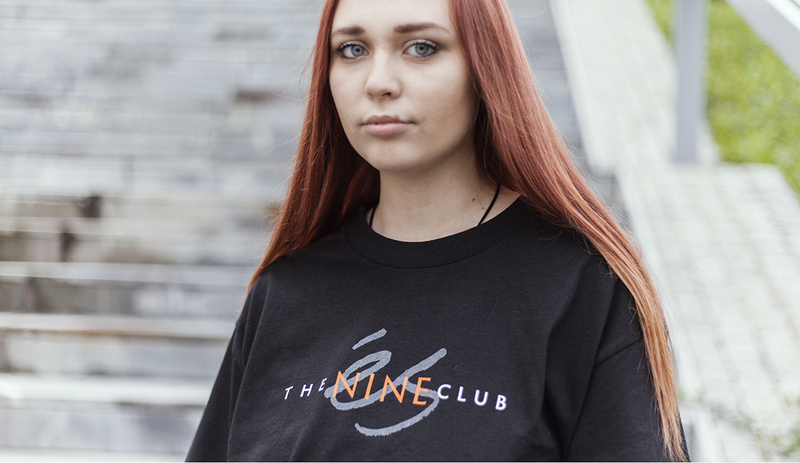 Essential and discreet, this Nine Club tee has everything in its place: the logos of the footwear brand and the media blend on the front of a black t-shirt. 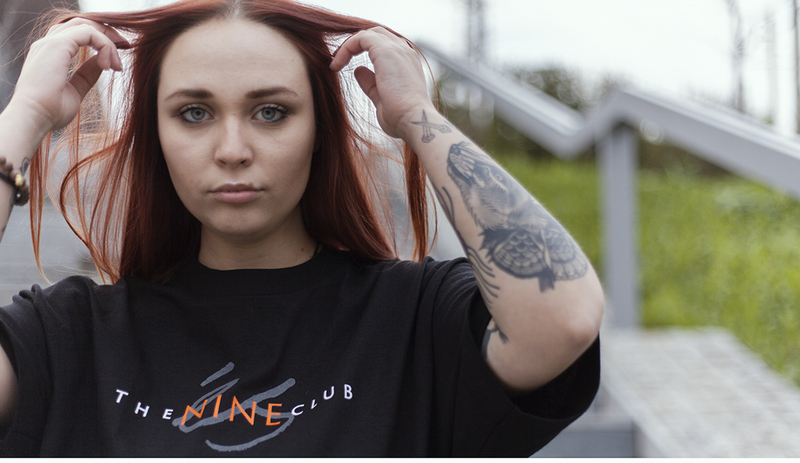 This item here worn by Lisa L has branding on point as you can see on the sleeve, turning the red És logo into orange just like The Nine Club logo. This is finally a collaboration that makes sense, instead of being “just another collab“. 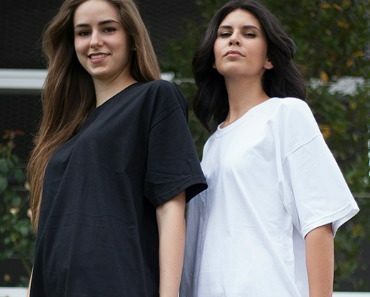 Feel free to support all this realness: the whole capsule is now available on És website.